Home / Blog / Wishing you were at the beach? Our E-juice Of The Week may be the perfect fix! This weeks hardware and juice highlight are true classics we know you’re going to love! The eGo AIO is a mod you just won’t be able to leave home without! The AIO is a flawless all-in-one kit that takes the hassle out of filling your tank. The tank on this kit is not removable and fills from the top (much like a cup) which prevents any leaking that could occur. One of the best features of the AIO is the multiple LED color options (purple, red, pink, green, blue) and the child-resistant top cap. This mod houses an internal 1500 mAh battery and has fantastic airflow for a nice airy draw. Come by Vape Escapes to try it out! Don’t forget to check out the Fight Night’s newest installment, the AIO VS Subvod VS Hohm Skillet. 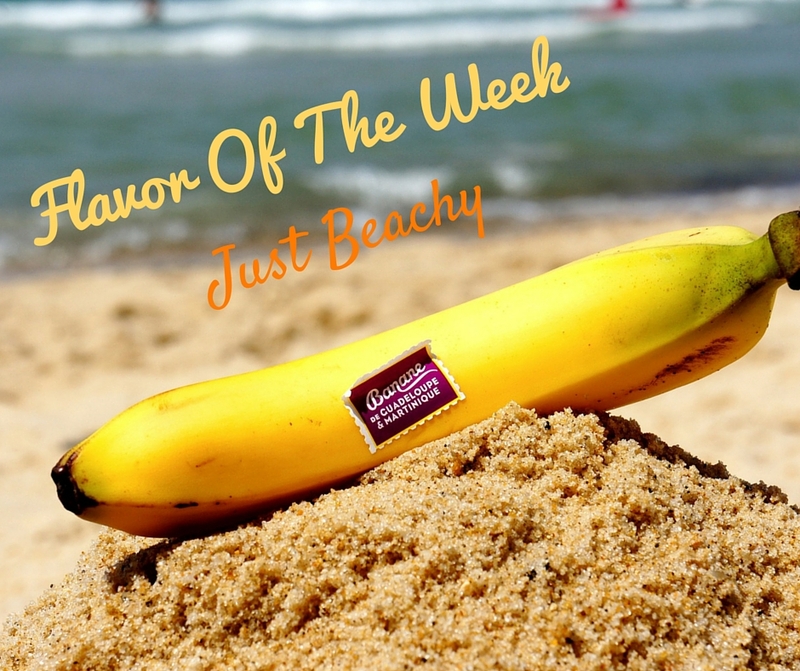 It’s no secret that we’re all day dreaming about the beach this time of year, so let us take you there with our flavor of the week! This dreamy combination of Banana and Peach is wonderful for summertime or for dreaming about the shore. If you can’t seem to make it to the beach anytime soon, vape on our tropical Just Beachy, kick up your feet, and let us take you to paradise! Having trouble with juice spitback? Sometimes juice over saturates the cotton inside a coil, forming a small pool on the inside where the air flows through. When the tank is fired the coil will reach a temperature in which the juice will vaporize and this small pool will pop, splashing some juice into your mouth. This can also happen when priming a new coil and using a bit extra that wont soak into the coil. A simple fix to this is to take a paper towel, wrap it lightly around the air flow and blow sharply into the tank. This will force excess juice found inside the coil and the chimney out of the air flow and into the paper towel clearing the chimney out.